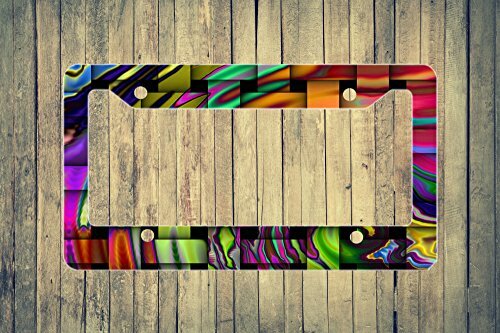 License Plate Frame in .030 gauge aluminum sublimation printed for vivid high gloss color and super sharp detail to last for years! If you have any questions about this product by Foothills Signs, contact us by completing and submitting the form below. If you are looking for a specif part number, please include it with your message. Original Fluid Acrylic Abstract 10 x 13 on Wood Slice "Dreaming"